Jack Bunneys are very fortunate to have an outstanding reputation. We are lucky enough to supply the wedding suits for over 500 grooms every year. Some of which are purchasing a unique bespoke suit and some are hiring a wedding suit. 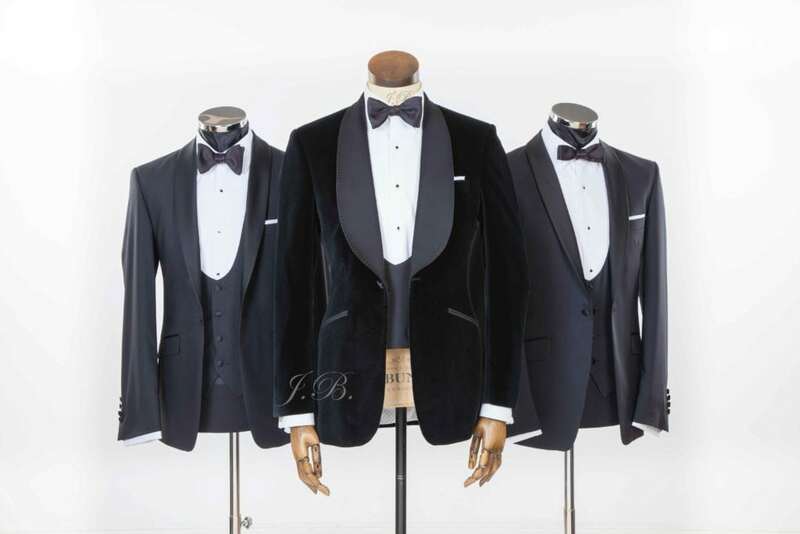 The majority (whether hiring or buying for themselves) will hire a group of wedding suits for the ‘grooms party’. This means we get to meet thousands of customers each year. This gives us a unique perspective on what suits the ‘customers’ really want. Which designs are being booked in 2019? What fabrics are being purchased by the groom in 2019? What sort of hire suits are popular in 2019?